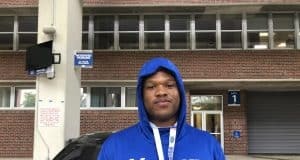 Kentucky offensive line commit Richard Leonard enjoyed watching the Florida Gators spring practice on Saturday. 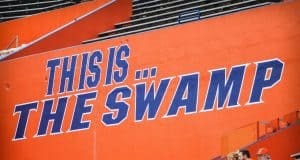 Quarterback Anthony Richardson named the Florida Gators his leader on Saturday after he visited Florida for practice. 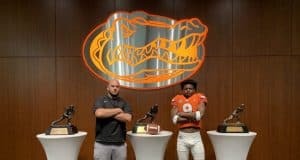 2020 tight end Jeremiah Johnson committed to the Florida Gators on Wednesday night over offers from Auburn and Tennessee among others. 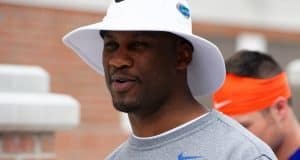 2021 linebacker Jayden Truesdale was speechless after picking up an offer from the Florida Gators on Saturday during junior day. 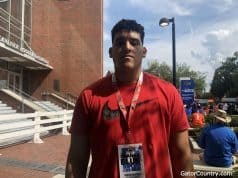 2021 offensive lineman Eli Sutton enjoyed his first visit to Gainesville to see the Florida Gators football program. 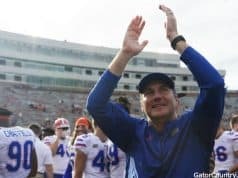 Defensive end commit Morven Joseph likes the role that the Florida Gators have planned for him after he watched the team practice on Saturday. 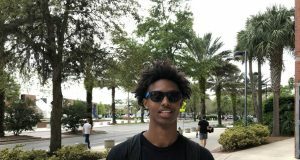 Defensive back Derek Bermudez enjoyed watching the Florida Gators spring practice on Saturday when he was in town for junior day. 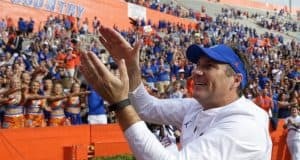 The Florida Gators impressed defensive end Jay Hardy during his junior day visit to Gainesville and the Gators are now one of the top teams for Hardy. 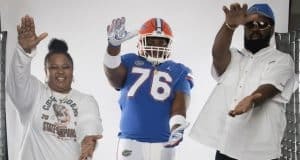 The Florida Gators offered Kentucky offensive line commit Gerald Mincey on Saturday while he was on campus for his junior day visit. 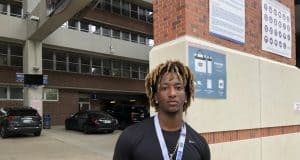 The Florida Gators are making a big push for Alabama defensive back commit Jahquez Robinson who visited Gainesville on Saturday. 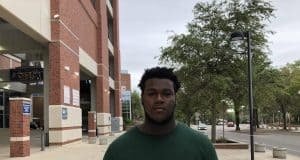 Defensive tackle Timothy Smith enjoyed watching the Florida Gators spring practice on Saturday while he visited for junior day. 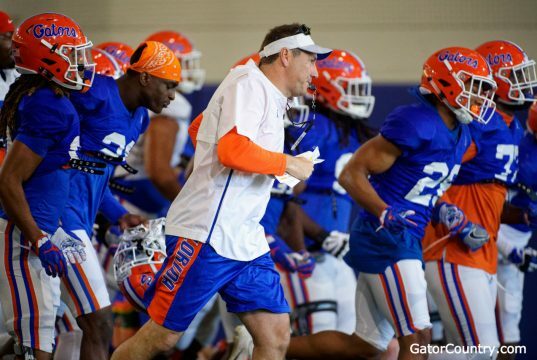 Defensive back Ethan Pouncey enjoyed his visit to see the Florida Gators practice during junior day on Saturday. 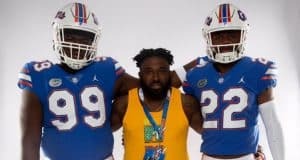 2020 athlete Caziah Holmes feels like he fits into the Florida Gators offense after he watched the team go through practice on Saturday. 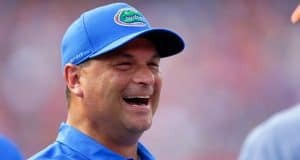 GC brings you a Florida Gators recruiting visitors list preview for this weekend's junior day that Dan Mullen and the staff will host. 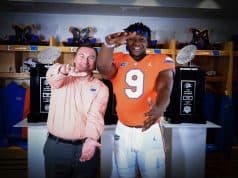 2022 defensive tackle Keithian Alexander visited the Florida Gators on Tuesday and he was impressed by the Gators spring practice. 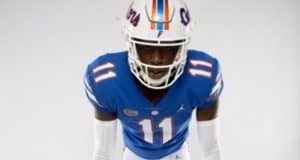 2020 receiver Deajaun McDougle previews his upcoming visit to see the Florida Gators this coming weekend for junior day. 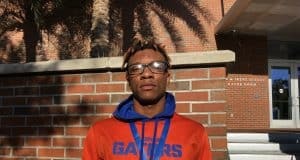 Defensive back Jalen Kimber was excited about his offer from the Florida Gators last week because of the DBU tradition the Gators have in Gainesville. 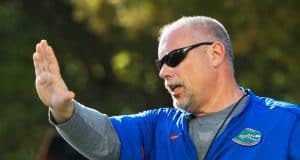 2020 safety Brian Branch picked up an offer from the Florida Gators on Wednesday and he breaks down that offer and what it means to him. 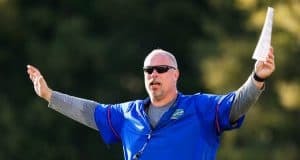 2020 offensive lineman Zak Zinter was excited to pick up an offer from the Florida Gators on Sunday as the lineman has ties to the state of Florida. 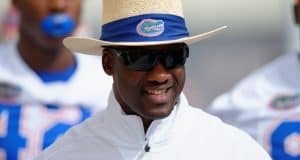 2021 defensive back Tony Grimes says picking up a Florida Gators offer means a lot to him after he was offered last week by the Gators. 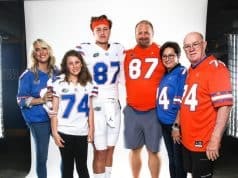 2020 receiver Bryce Gowdy hears from the Florida Gators several times a week and he now plans to be in Gainesville soon for a visit.